The versus guide about Mi Box vs Fire TV Stick is going to reveal for you as what is better, and what is easy to have according to your requirements and the needs. But before jumping into the details to open it up in full, why not first get the introduction ready and understood that what really is Mi Box and Fire TV Stick? Let’s now know what they are. Did you get a big screen at home? Then worry not to utilize it at its fullest with Mi Box as it runs with 4K Android TV 6.0 which makes it very easy to operate. The added features of Google Cast, ability to control the audio, and the HDR content where you see all and every thing with crystal clear details. Let’s just forget about the blurry and non-shining content. Say hello to the real-alike experience in watching the visual based content. What is the Fire Stick TV? Fire TV Stick is actually introduced by Amazon and comprises two components; a digital media player and one micro consoled remote. With Fire TV Stick, you are set to watch the digital audio and the video content streamed straight out of the internet. Not just that but you can also play the games using the remote through the mobile app, and also you can put up an optional game controller. The versus battle is just going to be started. We know both of them are very handy to handle, easy to set up set-top box solutions for doing what? To get us to watch our best and favorite TV shows, and the movies during the weekends. But we have to be more specific around one thing; what we really want to put in front to review? Of course, I know it. And that is going to get you educated more about which one is good, either it is Mi Box or the Fire TV Stick. Let me streamline the portions which we will review both set-top boxes with. What you want to go with? One thing that we put a lot of effort upon before thinking to buy something. And that is the design of the product. So in this case, we are going to spend some time checking and re-checking the design and the build of both products; Mi Box and Fire TV Stick. Most of the people end up with having stylish designed products and then forget about every other thing. And the both products are totally different from each other. 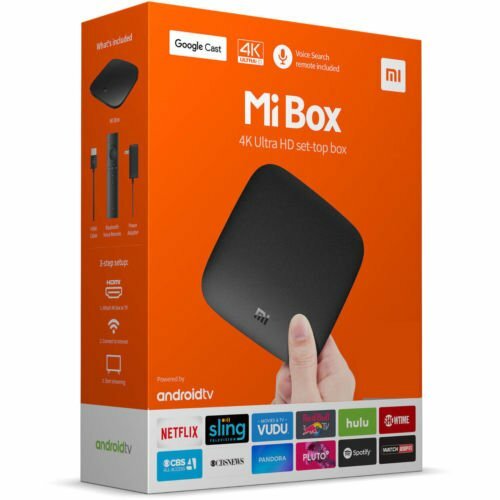 Mi Box’s design is just like a normal looking and traditional set-top box. Yeah, as one generic styled set-top box which we generally see in many homes. You need the better placement to actually place the Mi Box close to your TV. Mi Box goes with the dimension of 101 mm in length and the same 101 mm by the width. This box is thick as well, remember it. And by 19.5 mm thick. Well these dimension numbers make it slimmer than the many conventional set-top boxes available in the market. So rest assured, you are going to get the slimmest device in your home! Design wise, it comes only in the black color which is absolutely not a big deal with you. I meant everyone loves the black. And the technological components in black colors are always pleasing to the eyes. As you already know Fire TV Stick is brought to you by one and the only Amazon, I believe they have invested the good amount of time in bring the best design for the people to like it more. Fire TV Stick from Amazon has been in the business with three different generation types so far. Fire TV Stick generation 1 comes with 84.9 mm in length, 25 mm in width, and 11.5 mm in height. Fire TV Stick generation 2 which hit the market in in year 2016 comes with the following dimensional numbers. It gets the length to be hitting up to 85.9 mm while width touches to the same 30 mm. Height wise, it is going to be 12.6 mm. So, it definitely requires little place close to your TV set. While I mentioned the sizes in millimeters, in the form of inches it hits to: 3.4 inches in the length. Then the same 1.2 inches with width. And just 0.5 inches in the height. 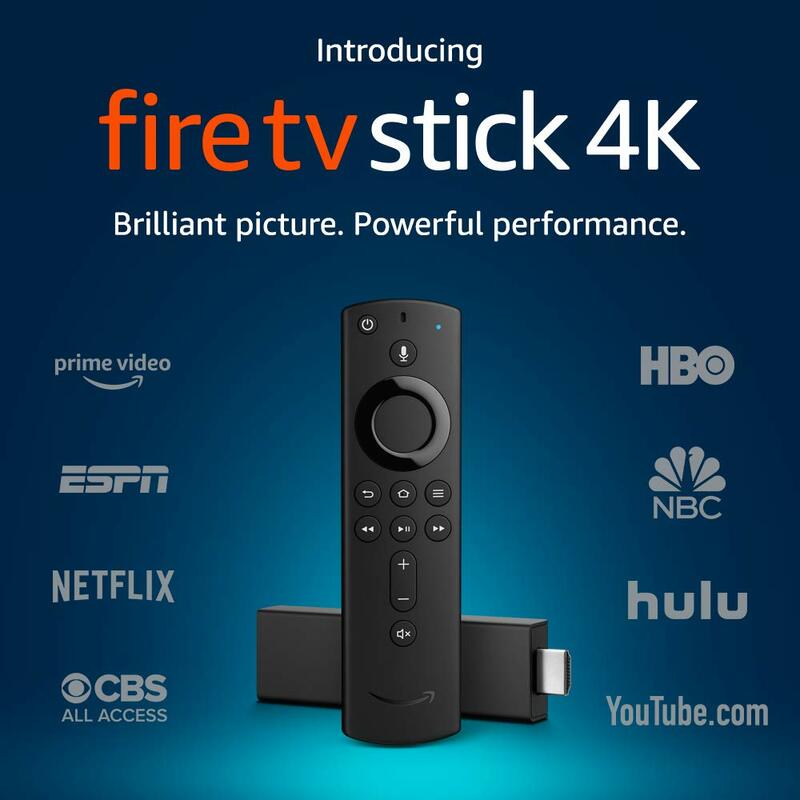 Fire TV Stick 4K is the 3rd generation that was introduce in the world by Amazon in the year of 2018 and so far is the last and the latest version of Fire TV Stick. The width hits the number of 38 mm while the length goes to the same number which is also 142 mm. And 16 mm makes to its height. Here we will go through both of the products to find out which one goes with the easy set up. We will just drop the product that gives us a little bit of the headache in setting up. And I know how much problems one could face in setting up the new product for the first time. Setting up of the Mi Box is relatively easy due to the fact that it comes with the Android TV operating system, so really thanks to this awesome function! But in some cases where you try to connect Mi Box in the reversal order, you may need to play with the documentations and the specifications to get it properly set up and run smoothly with the Android TV. Just get the HDMI cable inserted in your TV and power up the Mi Box using the power cord, I am not sure you would be going with any other issues as the process becomes very smoother to in setting up the Mi Box set-top box. The high definition and the ultra-high definition TV sets which has the in-built HDMI input port. Internet connection: Of course, the one basic requirement. Amazon Account: To connect your device with Amazon to start accessing the content to be shown with your device and your device is updated with the latest software, etc. Now when you have the basic required items at hand, then comes the turn of setting up the Fire TV Stick. Insert the small end of the UBS power cord into Fire TV Stick’s USB port, and its another end into the power adapter to start it. Plug the Fire TV Stick into the available HDMI port and it is recommended to use the included HDMI extender or the adapter to be used all the time to have it fit properly. Take the remote controller and insert the batteries that came with the package. Not just this but you have to have your remote paired with your device as well if it was not automatically paired. So how exactly you can do that… by pressing and holding the Home button for up to 10 seconds and it should send you the “discovery mode” where you can complete the remote’s pairing. Then connect to the internet through the options of Wi-FI. For the first time, “Save Wi-Fi Passwords to Amazon” will show you and you must enter your password to have it saved within your Fire TV Stick to be used all the time. On the next step, get your Fire TV Stick device registered with your Amazon account. And you are all done! Voila! Be ready to watch your favorite content right from your own home and that too with the ultra-high definition graphics!! Over both of the products, you can stream the movies, TV shows, play games, and do much more. But Mi Box does more in this case. With Mi Box, you can avail the access to Android TV apps’ store where you can get the most-used and the most-installed applications such as DSTV, Netflix, and more. But that is the total unfortunate that many more used applications are still missing with the Android TV app store. You can just stream anything up on your mobile device thanks to the in-built Chromecast feature to illuminate your television. While on the other side, Fire TV Stick is ready to serve you with much more applications than the Mi Box. Not just it has Netflix, and such most-used applications, but you can also access YouTube, Spotify, and more. All in all, Fire TV Stick has many more applications loaded on its store. Fire TV Stick, of course. with 64-bit while RAM is hitting the 1.5 GB DDR4 mark. Storage wise, the internal storage is going to be 8 GB which is not really much. While it is loaded with built-in Bluetooth and the Wi-Fi. Mi Box has the processor of quad-core Cortex-A53 2.0GHz with 2 GB DDR3 RAM and the memory size of 8 GB. It is Mi Box, and that is because of processor type. Do not do it right now. We need to go through the total and whole specification list of both, Mi Box and the Fire TV Stick. We are going to make Fire TV Stick the winner of this complete and detailed review. Do enjoy this slimmest and the powerful streamer to enjoy watching the best shows that are yours favorite.